THE ROCKY MOUNTAINS! THE VAST FOOTHILLS OF ALBERTA! SUPERB ALL SEASON COTTAGE for those that enjoy the outdoors and nature. Located in WILLIAM A. SWITZER PROVINCIAL PARK one hour from JASPER. 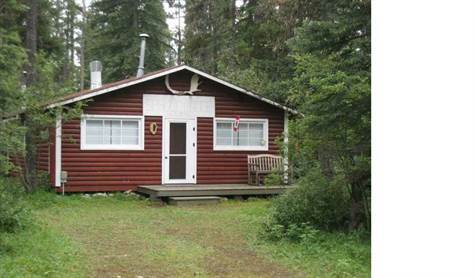 This fully furnished cottage is at GREGG LAKE just 20 minutes from HINTON. If you enjoy fishing, hiking, hunting, sledding, quadding, cross country skiing or just enjoying nature this property is for you. WM SWITZER PROVINCIAL PARK offers a wide range of activities: trout fishing in the lakes and streams; horseback wilderness trips in the mountains; mountain sledding; quadding; or hiking through the FOOTHILLS; 35 km of world class cross country ski trails; mountain biking trails. The cottage comes completely furnished with appliances, beds, linens, dishes, pots/pans - just pack your suitcase and toothbrush. A few miles away is a vast park area comprised of: WILLMORE WILDERNESS PARK; ROCK LAKE/SOLOMON CREEK WILDLAND PROVINCIAL PARK and KAKWA WILDLAND PROVINCIAL PARK. This is a great area to explore. You won't be disappointed.